The federal government and marijuana merchants are usually on opposite sides of the aisle when it comes to agreeing with, well, almost anything. Luckily, for the second year in a row, the Republican-held House of Representatives voted to protect legalized marijuana merchants from federal interference in states where the drug is still illegal. This “legalized” marijuana only concerns medical marijuana, which could leave a few states in a jam. 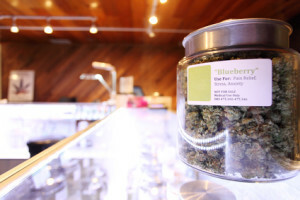 While this resolution blocks the Justice Department – including the DEA (Drug Enforcement Administration) – from using federal money to undermine legalized medical marijuana merchants, legalized recreational merchants are in limbo. While certain states (Alaska, Colorado, & Washington State) have legalized recreational marijuana, the possession, growing, packaging, and selling of any type of marijuana is still a federal crime. So, even though the state may not pursue charges, the federal government can if they see fit. According to the United States Supreme Court, federal laws typically trump state laws when they are in conflict. If you are an existing, or soon-to-be, medical or recreational marijuana merchant, you need to make sure that your marijuana payment processing account is secure. “Secure” not only from hacking’s, but from improper searches. While marijuana payment processing is hard to find, not all that advertise their services are up to par with the changes that are constantly taking place in the industry. This is a tough and tricky industry, and it takes a smart and dedicated processor to help you find success. Some are “fly by night” processors, who hop into the field due to its lucrative nature, but quickly flee when things get tough. You need to make sure that your processor is experienced and knowledgeable, such as “Marijuana Merchant Account”. Processors like MMA have years of experience, knowledge, and the reputation to get you where you need to go in the legalized marijuana industry. There is a difference in the workings of medical and legalized marijuana merchants, and few processors know this. Experienced processors know that while the industry have its ups and downs, it is a worthy cause for all involved. This entry was posted in Marijuana Industry and tagged House Votes to Protect Marijuana Merchants, marijuana payment processing, Protect Marijuana Merchants by admin. Bookmark the permalink.